Ioannis Glinavos, University of Westminster. The disaster at Grenfell Tower has been described by David Lammy, Labour MP for Tottenham, as a case of “corporate manslaughter”. According to English law, companies and organisations can be found guilty of corporate manslaughter as a result of serious management failures, resulting in a gross breach of a duty of care. Amid calls for arrests, it’s time to consider whether the failings that led to the Grenfell disaster could possibly justify the use of the label “corporate manslaughter” – and what this would mean for victims who seek justice. Prosecutions for this offence are of a corporate body (defined broadly enough to include public authorities) and not individuals – so we probably won’t see any pictures of executives being led away in handcuffs. That said, directors, board members and others may still be liable to prosecution under health and safety law or general criminal law. The offence also covers contractors and sub-contractors, so long as they owe a duty of care to the victims. A duty of care is an obligation, whereby an organisation must take reasonable steps to protect a person’s safety. Legally, it is broadly understood as avoiding negligence by not placing people in danger. These duties also exist in relation to workplaces and equipment, as well as to products or services supplied to customers. This suggests that when an entity exercises control over people and spaces it has a responsibility to protect them. The corporate manslaughter offence uses the same definitions of duty of care as the common law offence of gross negligence manslaughter. This means that the threshold for the offence is high – the way that activities were managed or organised must have fallen seriously far below reasonable standards. Any organisation convicted of this offence would face a fine of anywhere between £180,000 and £20m (though there is no hard maximum limit). They would also be handed a publicity order, which requires them to publicise the conviction, along with certain details of the offence, as specified by the court. The court can also set a remedial order, requiring the organisation to address the cause of the fatal injury, which in this case could have consequences for similar tower blocks. While there is no direct precedent for this kind of tragedy – involving massive loss of life for non-workers – to help us estimate penalties, some indications can be gleaned from the fines imposed on rail operators for train accidents. In 2003, Thames Trains and Network Rail were fined over £2m and £4m respectively, in relation to the health and safety breaches that led to the 1999 Ladbroke Grove train crash, which killed 31 people. And in 2006, Network Rail was fined £3.5m and Balfour Beatty an eventual £7.5m (following an appeal) for faults leading to the fatal derailment of a train near Hatfield in 2000. It’s also possible for an organisation to be charged with both corporate manslaughter and health and safety offences in the same proceedings. 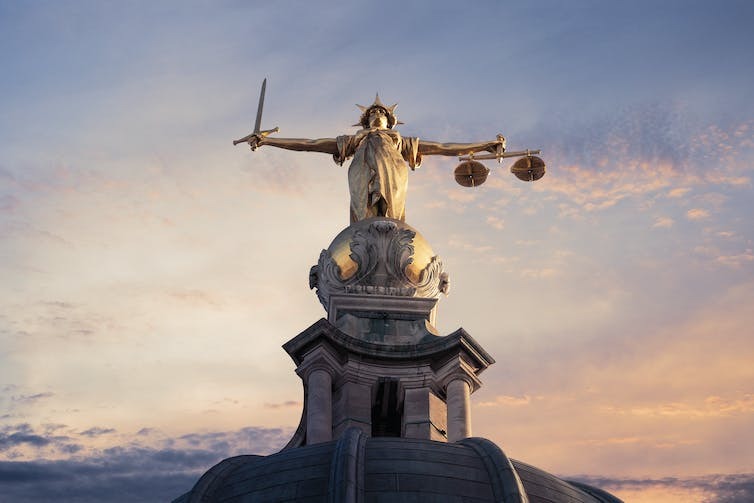 In these circumstances, if an organisation is convicted of corporate manslaughter the jury may still be asked to return a verdict on the health and safety charges if the interests of justice so require, which can have further consequences for individuals. Corporate manslaughter is an extremely serious offence, reserved for the very worst cases of corporate mismanagement leading to death. Even before knowing the full extent of the Grenfell disaster, it’s safe to say that it is likely to fall in this category. Potential defendants in this case – should one eventually be brought – would probably include the building’s management company, the Royal Borough of Kensington and Chelsea Tenant Management Organisation (KCTMO), and possibly also contractors involved in the tower’s recent renovation. But advocates for the victims are likely to be looking further than that, seeking to challenge the behaviour of public authorities and political decisions about spending on improvements to social housing in London. Prosecutions of public authorities would have far-reaching political consequences. If the defendant is a public authority, exemptions may apply to decisions about public policy. For example, strategic funding decisions and other matters involving competing public interests, cannot be challenged in criminal proceedings. But decisions about how resources were managed are not exempt, which means that deliberate under-investment in maintaining safety could lead to prosecutions. According to the law, the offence is concerned with how an organisation’s activities were managed or organised. So, courts will look at management systems and practices across the organisation in question, and investigate whether an adequate standard of care was applied. A substantial part of the failing must have occurred at a senior management level for a conviction to be successful. Juries would be required to consider the extent to which an organisation was in breach of health and safety requirements, and assess how serious those failings were. They would also consider wider cultural issues within the organisation, such as attitudes or practices that tolerated health and safety breaches. What’s more, it would not be necessary for the management failure to have been the sole cause of death, so a tenant’s actions in starting this fire would not exonerate those responsible for inadequate safety measures. For now, London is in mourning. But when the immediate phase has passed, the law will turn its attention to those who may be responsible, and see that justice is carried out.